Best known for his 1971 acoustic pop hit "Sunshine," Jonathan Edwards also has a solid background in country, folk, and bluegrass music. Here he performs the traditional song "I Wish I Was a Mole in the Ground," from this week's encore broadcast of Mountain Stage. This week's broadcast also features performances from Boston-based roots group Session Americana, longtime Mountain Stage friend and Grammy winner Tim O’Brien alongside his friend and collaborator Old Man Luedecke, genre-blending instrumentalist Tony Furtado, and first-time folky visitors Anna & Elizabeth. Like what you hear? Download the entire show right now on the Mountain Stage podcast (just look for Ep. 859). While you're at it, leave us a rating/review and send us a tweet with your favorite song: we're @mountainstage. The year 2016 was noteworthy for lots of reasons at Mountain Stage . Our 32nd year of live performance radio from the Mountain State included 25 shows from seven venues in four states and two new guest-hosts! With 2017 around the corner (11 shows already on sale) and nostalgia in the air, here are 10 highlights of the year that made 2016 a special one. Mountain Stage with Larry Groce, the long-running live-performance radio program based in Charleston, WV, is pleased to announce that critically-acclaimed indie pop group Lucius will return to Mountain Stage on Sunday, June 26, 2016 at the Culture Center Theater. The show will be presented at FestivALL Charleston by Holiday Inn & Suites at the Capitol Conference Center. 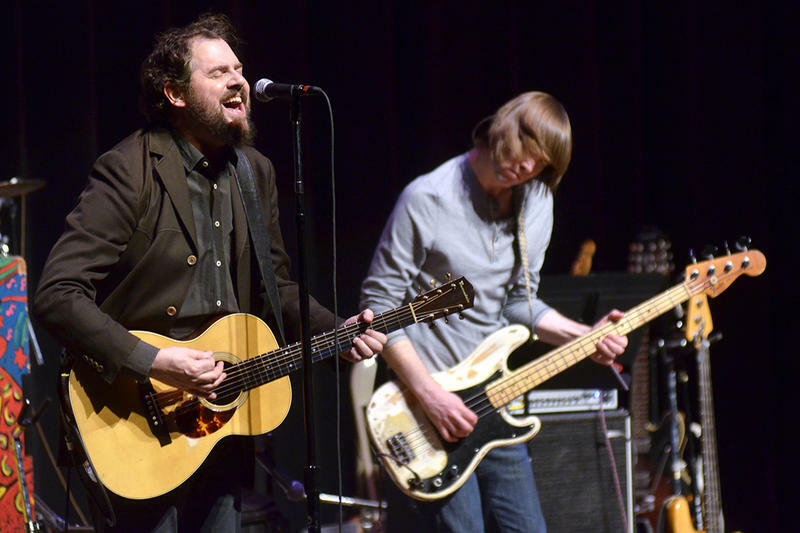 Alt-country-rock masters Drive-By Truckers return to Mountain Stage this weekend with a preview of the sounds from their "Dirt Underneath" tour. Inspired by a character in book he'd just finished, singer Patterson Hood wrote the song "Pauline Hawkins" in a single day. From Northampton, Massachusetts, beloved folk-rocker Stephen Kellogg returns to Mountain Stage this week with a band that includes Miranda Mulholland of the Great Lake Swimmers. He closes his 2015 set with crowd favorite "The Bear" on this week's encore broadcast.